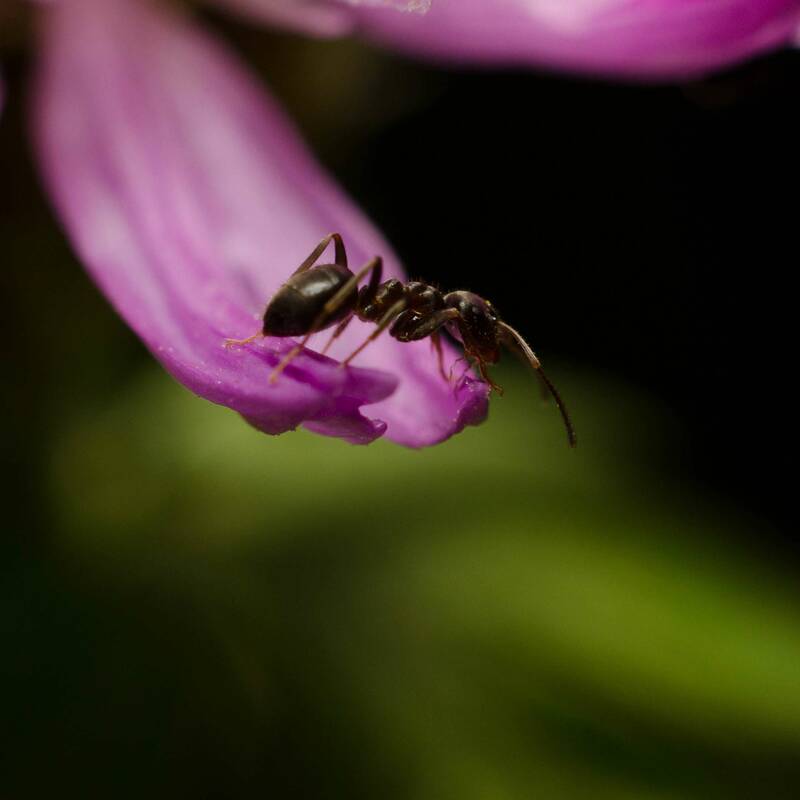 Ants are tiny insects that range in size from 1/16 inch (1.6 mm. ), like little black ants; to ½ inch (13 mm. ), like carpenter ants. They may be black, red, brown or yellow. These social insects live in colonies of a dozen to many thousands of ants. There are at least 12,000 species of ants world-wide. Although most cause no problems for homeowners, trouble begins when house-invading ants come indoors. Ants are constantly foraging for food and water to take back to the queen. House ants may build their colonies in mounds of dirt outdoors, but they may seek shelter in the warmth and safety of your kitchen or bathroom. If the nest is located outdoors, you can find it by following the workers ants to the nest. 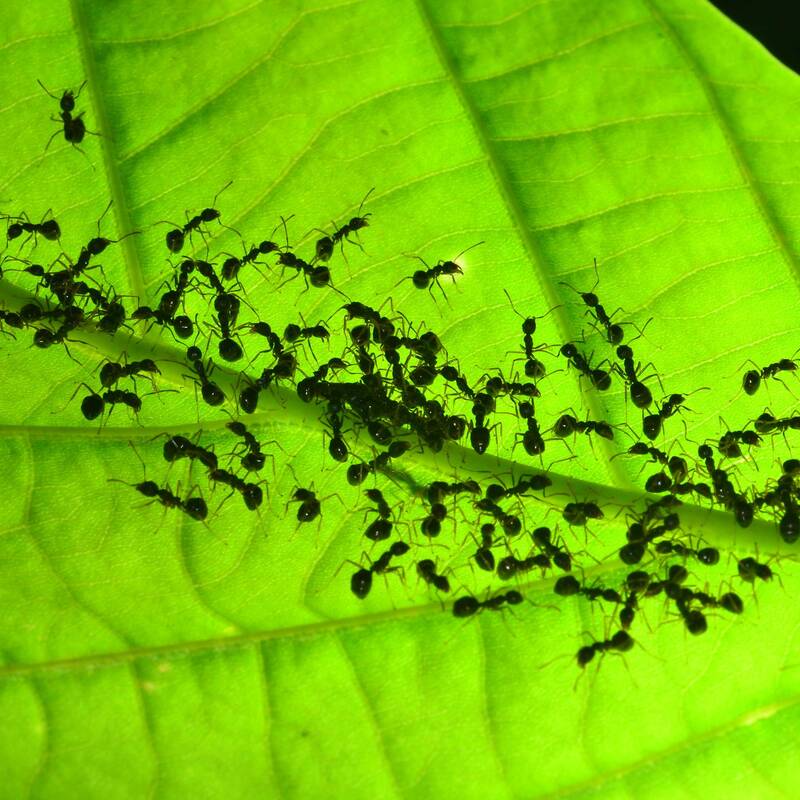 If the colony is nesting inside your home, you’ll likely notice a trail of ants coming from an electrical outlet, a tiny crack in the wall or floor, or around water pipes. If you find the colony outdoors, place ant bait along the trail leading to the nest. The workers will carry the poison back to the queen, thus killing the entire colony. Alternatively, spray outdoor nests with an insecticidal spray or dust approved for use against ants. Ant bait is an effective method of controlling ants both indoors and outside, and baits are safe to use around pets and children when used correctly. Never leave bait in the open where it is accessible by children or pets. 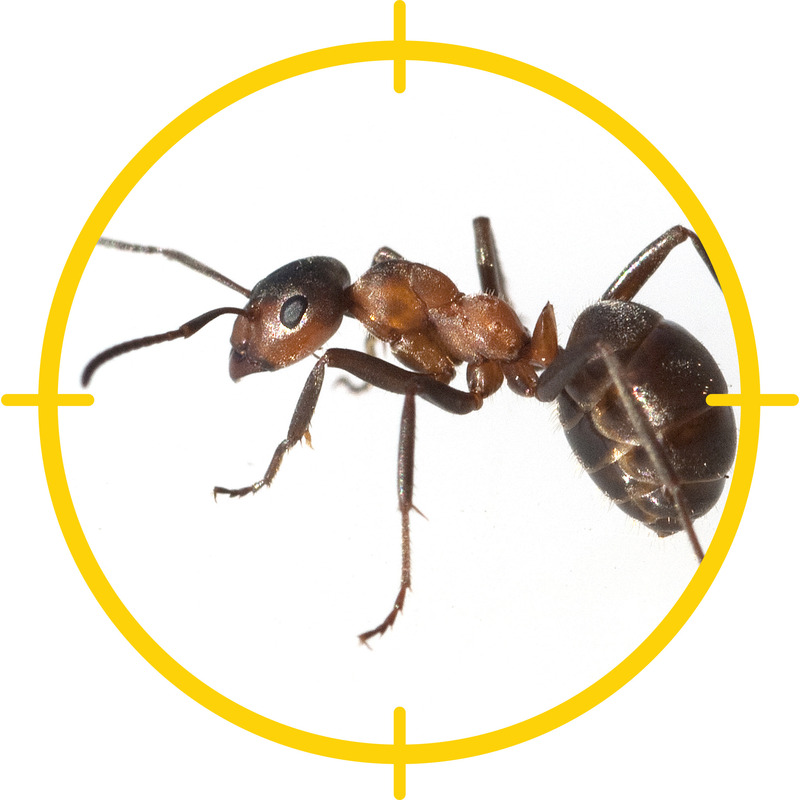 Never place ant bait where it can contaminate food in your kitchen or pantry. Always use ant control products according to label recommendations. Store them safely away from children and pests.